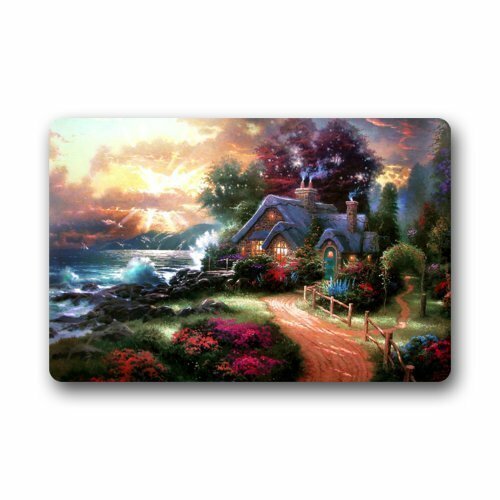 Doormat adds a touch of practical décor to your apartment, condo or home entry. Non slip: Comes with already build in non-skid rug runner pad mat with natural rubber back for maximum grip to prevent you to skid while you walk. Non Absorbent fibers: - Scrap off dirt, water, dust, grit, mud, slush, sleet, grass or rain, snow and absorbent moisture from shoes instantly, keeping floors clean and dry. Absorbent fibers: - Scrap off dirt, water, dust, grit, mud, slush, sleet, grass or rain, snow and absorbent moisture from shoes instantly, keeping floors clean and dry. It may takes you about 7-15 to get your item. thank you for yout patience.